The payments landscape is evolving. 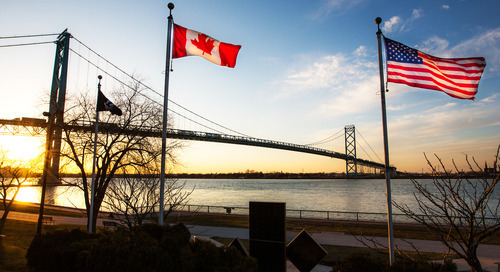 Canadian businesses, both large and small, are no longer willing to settle for old and inefficient payment methods, like cheques, that require manual inputs and prolong the entire payment process. Instead, they’re turning to new and more efficient payment solutions, designed to benefit both the buyer and the supplier. These electronic payment methods, including commercial payment cards and ePayables, are quickly gaining traction with Canadian businesses eager to transform their processes. ePayables, in particular, are making payments easier, faster and more reliable for companies across the country. With the payment ecosystem rapidly changing and always improving, it’s important to stay informed about the different solutions available. The best way to describe ePayables is to compare the payment method to a virtual credit card. Like a traditional, physical credit card, it has a 16-digit card number, an expiry date and a card verification code (CVC). The difference is that it only exists virtually, or electronically, making it ideal for payment transactions where a physical card isn’t required, such as online or over the phone. While the processes might differ from one financial institution to the next, ePayables generally fit into one of these two categories: virtual accounts and single use accounts. With a virtual account, a buyer assigns a virtual payment card to a specific supplier or a department within a business. This allows the buying business to easily track spending on a by-supplier basis or by a business cost centre. A single use account is exactly what it sounds like: a unique virtual card number is generated for a single purchase and is transmitted to a supplier at the time of payment. 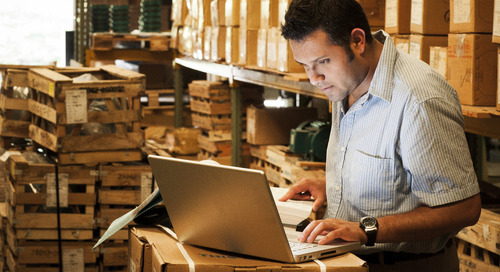 There are many benefits for both buyers and suppliers when using ePayables. First, unlike other forms of payment, like cheques, ePayables can reduce both paper waste and paperwork. Because the payment process is electronic, previously manual tasks, such as reconciliation, are easier to manage with the help of automation, reducing processing errors and creating a full audit trail. Second, using ePayables also helps to reduce the risk of non-payment or insufficient funds. Suppliers who extend credit to potentially risky accounts means there’s the potential of a delay in payment or even the risk of having to deal with collections due to fraud. With ePayables, suppliers are more comfortable with all buyers, knowing that payment is made as soon as that transaction goes through. Lastly, suppliers can also see benefits from the freed up cash flow that comes with accepting ePayables. Quicker payment and reconciliation improves working capital, which aligns with most business goals, making it an ideal option for many companies. Additionally, because ePayables are easy and beneficial for buyers, often rewarding buyers with points or other benefits, suppliers can quickly become preferred vendors, with the potential to earn more business over the long term. WHY AREN’T MORE COMPANIES USING EPAYABLES? While the benefits of ePayables are clear for both buyers and suppliers, some companies are hesitant to make the move from more traditional payment methods. Part of the reason is that ePayables require some change management and solution integration efforts, needing full buy-in from all corners of the business from procurement teams to senior management to accounts payable. Another reason is that the process for accepting ePayables isn’t yet standardized, meaning that every buyer’s financial institution has a slightly different combination of steps for the supplier to complete. Both virtual accounts and single use accounts require action on both the buyer and the seller’s end. Once the buyer starts the process, the supplier receives notification with log-in information and specific instructions for a financial institution’s portal, which must be completed in a specified timeframe. This lack of consistency can be intimidating and time consuming for a supplier. The good news is that the ePayables process is constantly improving, thanks to new tools and solutions that remove any perceived barriers that come with the payment form. An example of this is straight through processing (STP), or buyer initiated payments (BIP). This form of payment automation doesn’t require any action from the supplier. Using an electronic payment card network, the buyer initiates the payment and charges their virtual card. Payment is then received as a direct deposit into the supplier’s bank account. The process is easy and consistent regardless of the buyer’s financial institution. Buyers are choosing Moneris B2B Pay™ for straight through processing in order to simplify purchases and make acceptance easier for suppliers. 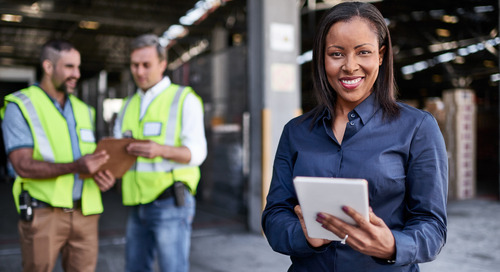 By streamlining the process, and eliminating the cumbersome steps in virtual or single use accounts, buyers and suppliers are able to save time and recognize all of the benefits that can be realized with ePayables. For more information on ePayables and how they could help your organization realize true business benefits, or to learn more about B2B Pay, please call 1-866-943-8929 or email b2b@moneris.com to connect with an expert, or visit www.moneris.com/b2b. Interested in learning more about B2B Payments? 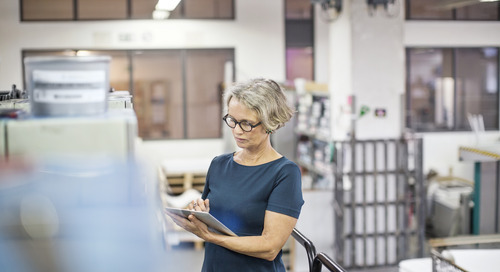 Make sure to read The Cheque is Not in the Mail: Why Modern Payment Solutions Make Sense for Canadian Companies and A Payment Method Worth Buying Into: Four Ways Commercial Payment Cards Benefit Suppliers. ™MONERIS B2B PAY is a trade-mark of Moneris Solutions Corporation.